(Bloomberg) -- Facebook Inc. made a very public bid over the weekend to shape the global conversation about internet regulation, though so far some politicians remain skeptical of its efforts. The company’s top lobbyist urged regulators around the world to agree on standards governing online content -- and to prevent a patchwork of different regulations that make it difficult for international companies to comply. It would be "much better if these rules are done on a multilateral and global level rather than a piecemeal way, which can contribute to the Balkanization of the internet," Facebook’s head of global affairs, Nick Clegg, said in an interview with Bloomberg. 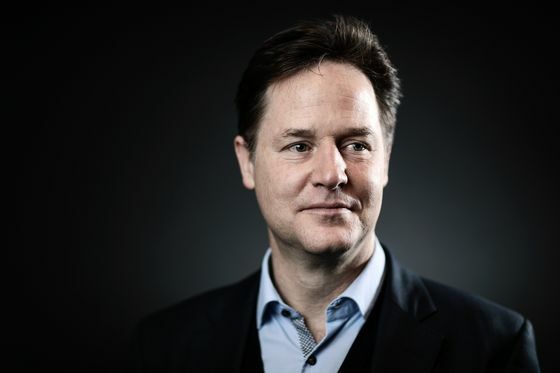 Clegg’s comments come on the heels of a statement on Saturday by Facebook Chief Executive Officer Mark Zuckerberg, also published as an op-ed in the Washington Post, in which he called for new global regulations for internet companies. The social media giant’s push follows growing government scrutiny of Facebook around the world, and an effort by the company to get out ahead of possible regulatory actions. In his post Saturday, Zuckerberg recommended overarching rules on hateful and violent content, election integrity, privacy and data portability. Facebook is seeking internationally accepted standards that would set baselines for prohibited content and require companies to build systems for keeping harmful content to a minimum, Zuckerberg said. Facebook has come under fire in the U.S. in recent years over its immense influence, data practices and content policies. Legislators have asked its executives -- including Zuckerberg -- to testify in front of Congress to explain the proliferation of misinformation, hate speech and election manipulation on the platform. In Europe, the social media giant has long been a target of regulators, particularly on privacy, but it has also been subject to broad-sweeping tech regulations, including a new copyright rule that will require platforms to compensate creators for content shared by users. Facebook appears intent to adopt a common set of rules, as long as it’s the one designing them, Tommaso Valletti, the European Union’s chief antitrust economist, said on Twitter. "I would call this move of Zuckerberg ’privatisation of profits and socialisation of shambles.’"
Authorities in Europe have also put the onus on tech platforms to self-regulate in certain areas, such as on disinformation and election interference, where several tech companies including Facebook and Twitter agreed to a code of conduct. In the past, Facebook and other players in the tech industry were proponents of hands-off style legislation. For instance, the industry has long said that Section 230 of the Communications Decency Act is vital to its ability to operate open platforms. The provision exempts companies from being liable for user-generated content. Facebook’s weekend appeal to regulators coincided with a visit by the Facebook CEO, along with Clegg, to Berlin on Sunday and Monday, where they were expected to meet with academics and politicians, including German Justice Minister Katarina Barley and Annegret Kramp-Karrenbauer, the leader of Germany’s Christian Democrats and a likely successor to Chancellor Angela Merkel. In his call for global governance, the billionaire also said it’d be good for the internet if more countries adopted rules such as the European Union’s General Data Protection Regulation as a common framework. In Europe, GDPR helped streamline a patchwork of privacy legislation in the bloc’s 28 different countries, making it easier for large companies like Facebook to adhere to one set. But many small companies have struggled to comply with the rules, given a lack of resources to meet the additional demands.